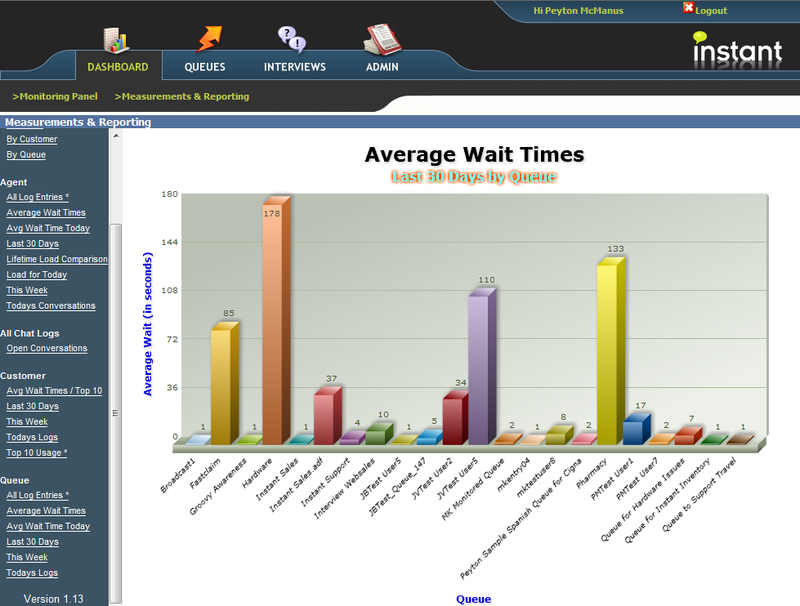 Based on customer feedbackwe have completely redesigned the charting component for Queue Manager V4. We now support 26 base charts which are dynamically presented. 5 of the charts support drill down displays. Charts have been designed to present data on such items as queues, agents (experts), time periods, unresolved requests, and system load. 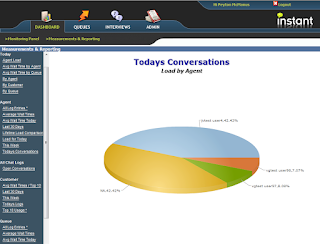 Our high level goal is to enable executives, and design makers, with useful information queue activity, load, trends, and that the information immediately add value to the day to day operations of IM help desk queues. After a very long development road, we are getting very excited to announce our newest release of Queue Manager V4. Queue Manager has a very loyal following and we have done a massive amount of work to include most of the enhancement requests in this latest version. Our broadcast queues are useful, but based on early customer feedback, the monitored queues will be extremely helpful in help desk environments and large organizations. 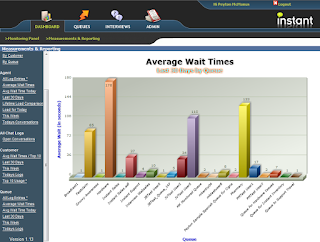 Monitored queues include a real time flex based dashboard showing all queue traffic. Interviews enable a decision support tree to be provided to inbound customers before they interact with a queue. These IM based trees are customizable, extensible, and very easy to create. With our Groovy integration, customer can easily shift conversations from an interview to custom Groovy extensions. Our number one request. Queues, interviews, and all administrative tasks are now available from our browser based interface. Built on Instant's enterprise IM abstraction layer, Queue Manager V4 supports Lotus Sametime, Microsoft OCS, and XMPP based systems. This FAQ will provide useful pointers to various entries on Instant Queue Manager 4. As part of our instant messaging abstraction layer, we are making extensive use of Groovy and some Groovy constructs. While our 'connectors' to the various IM platforms (Lotus Sametime, Microsoft OCS, XMPP) are all built using Java, our business logic and higher level applications are generally constructed using Groovy. 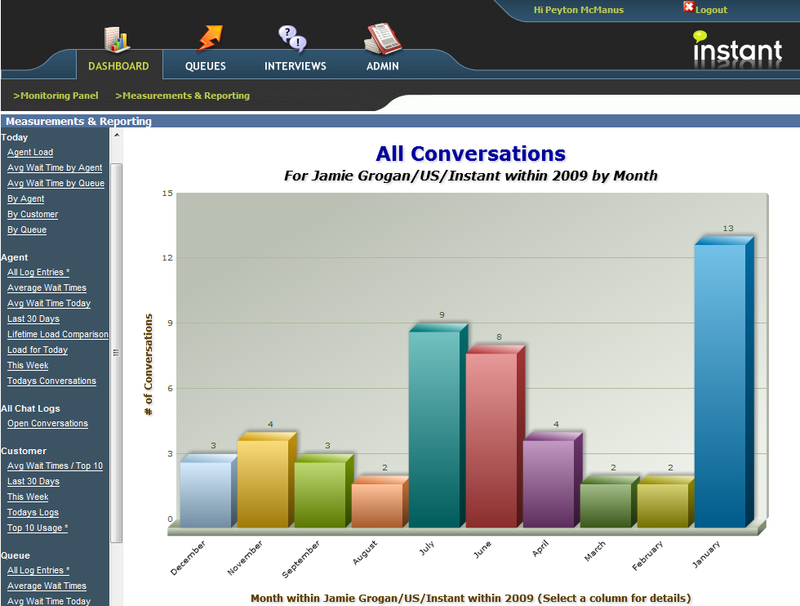 For example, our Interviews and Monitored Queues were all developed in Groovy using our Java based API to the various IM systems. Instant Queue Manager, we are adding some finishing touches to the text portion of the application. Our idea is that we will enable Groovy based template syntax in our our queue definitions and then simple route the text resource through the Groovy template engine in order to provide real time text substitutions.